8. 7. 18 - WRWS/NRHA - Wieder ein Rekord für „Topsail Whiz“: Erster & einziger NRHA-12-Million-Dollar-Sire. Before the commencement of the 2018 National Reining Horse Association (NRHA) Derby, NRHA all-time leading sire Topsail Whiz was sitting only $11,000 shy of hitting the historic 12 million dollar mark, and with only a few offspring competing in the open and non pro Derbies, it was unclear whether the legendary stallion would cross the threshold during the summer’s premier reining event. It only took one ride, however, to push ‘Whiz’ over – making him the only NRHA 12 Million Dollar Sire. Topsail Whiz comes from a lineage of sires that greatly impacted the sport of reining. The 1987 chestnut stallion was sired by NRHA Million Dollar Sire and Hall of Fame Inductee Topsail Cody and out of Jeanie Whiz Bar. Bred by Tom and Susan McBeath and owned by Bob Loomis Reining Horses, Whiz passed away in 2009, leaving a hole in the reining world that only his progeny could fill. The stallion’s most obvious success, however, came within the breeding shed. Producing many talented offspring, he has sired many champions, including seven NRHA Open Futurity champions and four NRHA Open Derby champions. His offspring also include three NRHA Million Dollar Sires and two NRHA Two Million Dollar Sires. At the 2018 NRHA Derby, Topsail Whiz had two offspring make the Open Derby finals. Dun It For Whizkey and Franco Bertolani finished third in the L4 Open and Whizkey N Cash and Tanya Jenkins finished fifth in the L2. The two horses earned nearly $36,000 making Whiz the first NRHA 12 Million Dollar Sire. As the 2018 National Reining Horses Association (NRHA) Derby came to a sliding stop, ancillary classes for rookies and youth ended the week off strong. Kicking off Friday’s classes, were the Jackpot Green Reiner Levels (L)1 and 2. Myron Gomulak of Gainesville, Texas took the title in the L1, while Dana Pastorino won the L2. Gomulak rode his own mare, Angelica, who is by NRHA Ten Millon Dollar Sire and Hall of Fame Inductee Gunner and out of Marcellas Smart Chic. The duo scored a 139 ½. For the L2, Pastorino of Half Moon Bay, California rode Jac Bee Whiz (NRHA Two Million Dollar Sire Conquistador Whiz x Cinch Up Cowboy). The 2008 gelding is owned by Pastorino Hay & Ranch Supply Inc.
Next came the rookie classes. Benton, Kentucky’s Tristan Bagby won both the Jackpot Rookie L1 and the $200-added Rookie L2, riding Im Gunna Shine. Owned by Teresa Wynn, the 2010 stallion is by Gunner and out of Shiner Light. The pair scored a 141 ½ in both classes for the win. In the Jackpot Prime Time Rookie class, Terry Saxton sild out of the arena scoring a 141, clenching the championship title. Saxton won piloting his own Jacs Electric Whiz (Jacs Electric Spark x Whizards Baby Doll). The NRHA Para Reining class rounded out the day. Aboard Outlaw Whiz, Melinda Davis took home the championship in the class. Outlaw Whiz is owned by Davis and is by NRHA 11 Million Dollar Sire and Hall of Fame Inductee Topsail Whiz and Genuine Starbright. Saturday, June 30th held the first day of the ancillary youth classes at the Derby. Madeline Bomba of Bloomington, Indiana took home three championship titles: $100-added Youth 14-18, Jackpot Unrestricted Youth and American Paint Horses Association (APHA) Solid Youth All Ages. Bomba was riding her own Spook Dot Gun by NRHA Four Million Dollar and Hall of Fame Inductee Smart Spook and out of Sugar Dot Gun. The duo scored a 143 ½ in all runs. Gates, North Carolina’s Emma Lane shared the Unrestricted Youth and the Youth 14-18 title with Bomba on her own Gunner Gump. ‘Grumpy’ is a 2008 gelding by Gunner and out of Little Patrasha Gump. Together, the pair scored a 143 ½. Winning the $100-added Youth 13 & Under was Addisyn Schmersal (Scottsdale, Arizona) riding CC Enterprise. The 2009 gelding is by Wrangle Whiz and out of Rems Little Sugs and is owned by Hickory Creek Ranch LLC. Schmersal scored a 142 ½ to slide out of the arena victorious. The pair also took the win in the same division during Sunday’s set of ancillary classes with a 140 ½. Winning by ½ by a point, Becca Schaffhauser of Eads, Tennessee took home the $100-added Youth 10 & Under Short Stirrup title. Schaffhauser rode Dunitwithasmokingun (Gunner x Dun It Doll) owned by Sam Schaffhauser. For the last class of the day, Hernando, Mississippi’s Margaret Sue Dunn rode Spooks Smoken Wimpy to win the APHA Regular Youth 14-18. Owned by Margaret Valentine, the palomino gelding is by NRHA 10 Million Dollar Sire and Hall of Fame Inductee Wimpys Little Step and out of Please Dont Spook. Dunn and Spooks Smoken Wimpy scored a 138 ½ to win the class. Madison Gustin of Weatherford, Texas and her own Guns R Spooky topped Sunday’s $100-added Youth 14-18 class. By Smart Spook and out of Berry Yer Guns, the 2010 gelding scored a 142 to also help Gustin claim the title in both the American Quarter Horse Association (AQHA) Youth 14-18, the Jackpot Unrestricted Youth and the USA Reining Youth 14-18 classes. Taking the AQHA 13 & Under on Sunday were Abby Budd (Pueblo, Colorado) and her own Cromed Up Whiz. By Cromed Out Mercedes and out of Rest Up, the 6-year-old mare and Budd scored a 137 to claim the title. The final USA Reining Classes shown were the Youth 13 & Under and the Youth 16-21. In the 13 & Under division, Anais Goedertier of Battle Ground, Washington and her own Check Out My Guns (Gunner x Darlins Not Painted) won the class with a score of 140. A 136 ½ won Brittalynae Goodlin and ARC Trashin Yer Chic the 16-21 class. The 2012 gelding owned by Greg and Kathy Goodlin and is by NRHA Million Dollar Sire Gunnatrashya and out of Wimpys Little Chic. Rounding out classes in the Jim Norick Arena was the $100-added Youth 10 & Under Short Stirrup. Madison Pokluda and Rancho Sereno LLC’s JH Gunmetal Blue (Gunner x Blue Eyed Kid) scored a 144 ½ to win the class. Sunday’s classes in the Adequan® Championship Arena began with the Rookie L1 and 2. Sweeping both with a score of 143 ½ were Paige Pastorino of Fresno, California and Pastorino Hay & Ranch Supply Inc’s Taylor Made Magnum. The 2007 gelding is by NRHA Five Million Dollar Sire Magnum Chic Dream and out of Beaus Liberty Belle. Dana Pastorino and Jac Bee Whiz (owned by Pastorino Hay and Ranch Supply Inc.) scored a 139 ½ to win the Prime Time Rookie class. Jac Bee Whiz is by of Conquistador Whiz and out of Cinch Up Cowboy. The pair also took the Jackpot Green Reiner L2 class with a 142. Winning the Jackpot Green Reiner L1 was Robert Peterson and his own Gunnpowder (NRHA Million Dollar Sire Gunners Special Nite x Boggies Last Flash). The pair scored a 141 to win the class. The final classes of the NRHA Derby were the AQHA Ranch Riding $500-Open, $250-Amateur and $250-Youth. Winning the open were Rusty Dare of Gainesville, Texas and Michell Anne Kimball’s Gotta Rowdy Baby (NRHA Million Dollar Rider Spooks Gotta Whiz x Rowdy Brinna). Whitney McIlvain and her own Knight Slider took the amateur division. The 2012 gelding is by Cuttin Cowboy and out of Smart N Skeets. All Nite Spook (Smart Spook x Dun It Fri Dee Nite) and Kennedy Bryant took the youth division. During the NRHA Derby, the world’s best 4-, 5-, and 6-year-old reining horses and competitors come to Oklahoma City to compete for an estimated total purse and cash prizes of more than $1 million. For more information on show results and sponsors and more visit nrhaderby.com. Großer Andrang zum ersten Nennschluss – nächster Nennschluss: 23. Juli. Das Interesse an der $ 80.000-added AustrianRHA Futurity 2018 (22. – 25. August 2018 in Wiener Neustadt) ist wieder sehr groß: am 2. Juli war erster Nennschluss für Österreichs höchstdotierte Reining-Show, doch es wird noch einige Tage dauern, bis erste Zahlen bekanntgegeben werden können. Die Meldestelle wurde am Wochenende von E-Mails überflutet mit E-Mails, so dass die Bearbeitung Zeit braucht. Jedenfalls werden unter anderem Gennaro Lendi, Giovanni Masi, Max Ruggeri, Arnaud Girinon, Emanuel Ernst, Rudi Kronsteiner, Kim Obenhaus, Klaus Lechner Miroslav Baniari, Vern Sapergia, Sabine Ehrenreich, Ewald Rifeser, Markus Gebert und Markus Schöpfer mit am Start sein, um nur einige zu nennen. 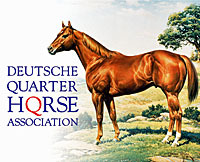 Nächster Nennschluss für die „AustrianRHA Futurity mit NRHA Ancillary Show“ ist der 23. Juli 2018. Die Nennungen können auch online über www.showmanager.info erfolgen. Die „AustrianRHA Futurity“ 2018 bietet allein für die beiden Sieger der Level 4 Open Futurity der 3- bzw. der 4-jährigen Pferde jeweils ein garantiertes Preisgeld in Höhe von $ 10.000. Die „Austrian Futurity“ für 3- bzw. 4-Jährige ist offen für alle Pferde. Die Futurity für 3-jährige Pferde ist in der Open in vier Levels ausgeschrieben. In der Non-Pro werden drei Levels angeboten. Alle Klassen sind NRHA-anerkannt. Die Ancillary-Klassen zählen zudem zum ARHA-Circuit. 5. 7. 18 - WRWS/AQHA - Ohne Login: Nur anklicken und lesen! At Friday morning’s draw party, the crowd empathized as Jimmy Van Der Hoeven drew the number one spot for 2018 National Reining Horse (NRHA) Level (L)4 Open Derby Finals, as the superstitious consider drawing early as a difficult position to overcome. For Van Der Hoeven and Guaranteed A Magnum, however, number one would also be where they would end up at the end of the night. Owned by Casey and Kathy Hinton, Guaranteed A Magnum is by Magnum With A Dream and out of Guaranteed By Amos and is an NRHA Markel Futurity Sales Graduate. The 5-year-old bay stallion was bred by Victoria Lambert, nominated by Heather Hochstatter and came into the Derby with an impressive run at the National Reining Breeders Classic (NRBC) with Van Der Hoeven aboard – placing 4th in the L4 and claiming the L3 reserve championship. Tonight, the pair marked a 225 and earned in excess of $80,000, claiming both the L4 and 3 championship titles. Abby Lengel and Jody Puno’s ARC Gunna Mark Ya continued their impressive performance from the first go round with a score of 224 in the L4 finals, claiming the L4 reserve championship and the co-reserve title in the L3. Bred and nominated by Arcese Quarter Horses USA, ARC Gunna Mark Ya is by NRHA Million Dollar Sire Gunnatrashya and out of Shiney Miss Marker. The sorrel mare has been with Lengel since early 2017, and together the pair earned nearly $60,000 in Oklahoma City. Also claiming reserve honors in the L3 were Trent Harvey and SM Steping Junior (SM Enterprise Jr x Top Step Enterprise), a stallion bred and nominated by Coguaike S.A. and owned by Coguaike LLC. The pair’s 224-point run earned them a paycheck of $15,471.46. Harvey also rode in the finals on Cee My Pistol, also owned by Coguaike LLC. Kari Anna Klingenberg and Foothills Farm’s Spook Whiz Jewels took top honors in the L2 during section one of the open finals (216 ½). Bred and nominated by Rosanne Sternberg, Spook Whiz Jewels is by NRHA Four Million Dollar Smart Spook and out of Whiz Jewels. Klingenberg began riding the 5-year-old mare earlier this year – with their first money-earning finish coming in the Derby finals. The pair also took 12th place in the L3, winning a grand total of more than $12,000. Marking a 216 and 2nd in the L2 were Shauna Larcombe and Hey Joe (Smart Spook x Best Stop). Bred and owned by Wagman Ranch Inc, the 2013 stallion is owned by Sternberg and is an NRHA Markel Futurity Sales Graduate. With Larcombe leading the way, the pair also took the reserve title in the Prime Time division and a top 15 finish in the L3 – an impressive finish for the duo’s first NRHA paycheck. The L1 competition was led by Debbie Brown and Jennifer Greenleaf’s Dunit At Nite, who was bred and nominated by Ann Salmon Anderman. Greenleaf and the 2013 stallion (NRHA Million Dollar Sire Gunners Special Nite x Dunit A Lil Ruf) marked a 218 1/2 and claimed a check for $4,629.73. Dunit At Nite was also featured in the Prime Time Non Pro Derby Finals with Greenleaf aboard. With a score of 217 1/2, Carol Metcalf and Xtra Foolish Gun earned the L1 reserve championship. Xtra Foolish Gun (NRHA Ten Million Dollar Sire and Hall of Fame inductee Gunner x Foolish Little Step) is owned by Mark Miers and was bred and nominated by Xtra Quarter Horses, LLC. Metcalf and the 2012 mare have been together since 2015 and have earned nearly $25,000. The Prime Time Open Derby Championship went to Mike McEntire and A4L-Equine’s Spooks The Hard Way (NRHA Million Dollar Sire Spooks Gotta Gun x Im So Anson). The 2013 gelding was bred by Silver Spurs Equine and nominated by Michelle Miola and started training with McEntire earlier this year. The pair also earned a top ten finish in the L3 and a top 20 in the L4. During the NRHA Derby, the world’s best 4-, 5-, and 6-year-old reining horses and competitors come to Oklahoma City to compete for an estimated total purse and cash prizes of more than $1 million. For more information on schedules, live video coverage, hotel accommodations, sponsors and more visit nrhaderby.com.